"Did a hard session on the Exercycle, seemed to go well, but not long afterwards I seemed to have a tight adductor longus?!" You have raised an interesting issue - thanks! When riding an exercycle, or bicycle of any kind, for that matter, a wide, soft seat, such as those typically found on an exercycle may cause pain in the groin and adductor muscles (Those are the muscles found in the inside of the thigh). This is because a wide, soft seat may press onto the tendons of the inner thigh muscles where they attach to the pubic bones (refer illustrations). 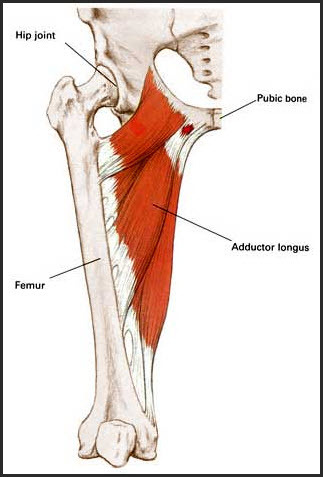 This may cause bruising at the point of pressure and spasm in the muscle the tendons serve. This may be a more common problem for male cyclists than females, due to males having narrower hips than women of similar stature. 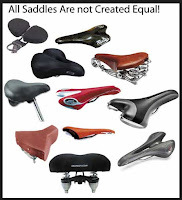 Take the lead of the pro cyclists: Fit a narrow seat that is firm to hard, rather than wide and soft. A well-fitting seat should have the rider sitting on the hard "Bum Bones", rather than the meaty portions of the bottom. 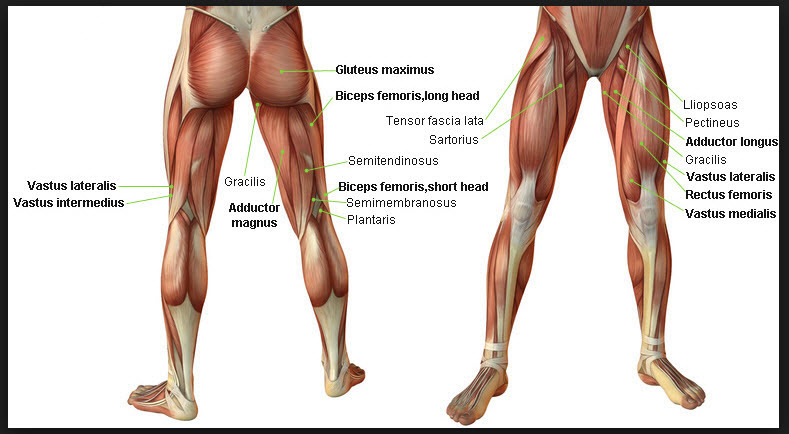 If you begin to feel groin/adductor pain, stop, get off and do some gentle stretching of the groin ("split-type" exercises), then resume cycling. When relaxing, do some gentle self massage of the groin and adductor muscles, but please be discreet and never do this at the office.